Light Up Shoe Laces - What Fun! You know we are all about "FUN" around here at MFM. 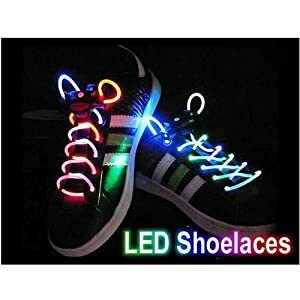 Well, these SODIAL- Led Light Up Flashing Glowing Shoelaces fit the bill! What kid would not want them? Right now Amazon has them priced at just $2.21 a pair, but we know their prices sometimes change fast so grab them now!